A Trek bicycle store is opening at 1647 N. Milwaukee Ave. in Wicker Park/Bucktown. 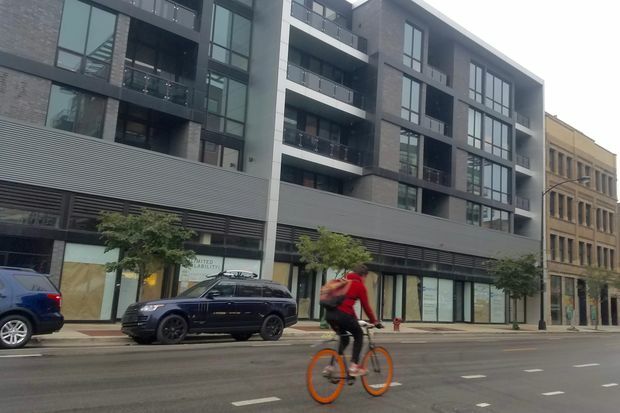 WICKER PARK — A Trek bicycle store is opening in the middle of Milwaukee Avenue's "Hipster Highway." The Waterloo, Wis.-based bike maker posted a job listing for a Wicker Park Trek store manager on LinkedIn last week and is currently soliciting bids on construction site BidClerk for a store build out at 1647 N. Milwaukee Ave, just two blocks south of The 606's elevated Bloomingdale Trail and along a busy bike commuting corridor. A representative from Trek did not immediately return a request for comment on Thursday. The forthcoming store on the border of Wicker Park and Bucktown will anchor a 36-unit apartment building that opened earlier this year. 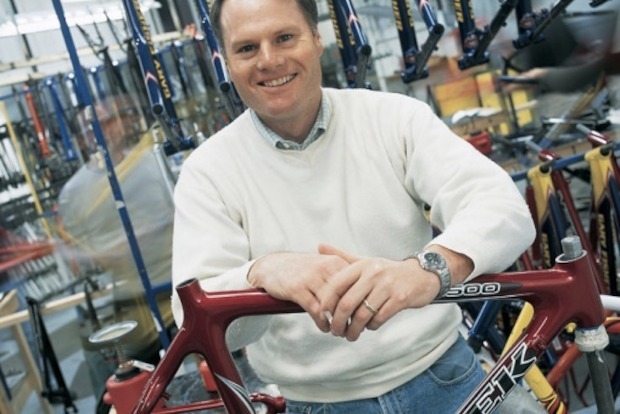 Headed by CEO John Burke, Trek is the nation's largest bike manufacturer. Burke was the chairman of former President George W. Bush's Council on Physical Fitness and Sports and has completed four marathons and two Ironman triathlons. John Burke, president of Trek Bicycle Corp.
At an Executives' Club of Chicago meeting in 2014, Burke touted how bicycle commuting could ease some of the city's notorious traffic jams. "If you didn't notice, you live in a very congested city," he told a crowd of Chicago leaders. "Biking can have a huge impact on congestion." Currently, the nearest Trek store to Wicker Park is Village Cycles at 1337 N. Wells St. The local cycle chain exclusively sells Trek bikes. Greg Dietz, a principal at Baum Realty who was not involved in the deal, said that a lease by Trek is "a sure sign of the Wicker Park retail corridor's continued expansion north toward The 606." "An international yet Midwestern based lifestyle company of Trek's pedigree validates the desirability of the vibrant and active community Wicker Park has to offer commercial tenants," Dietz said.